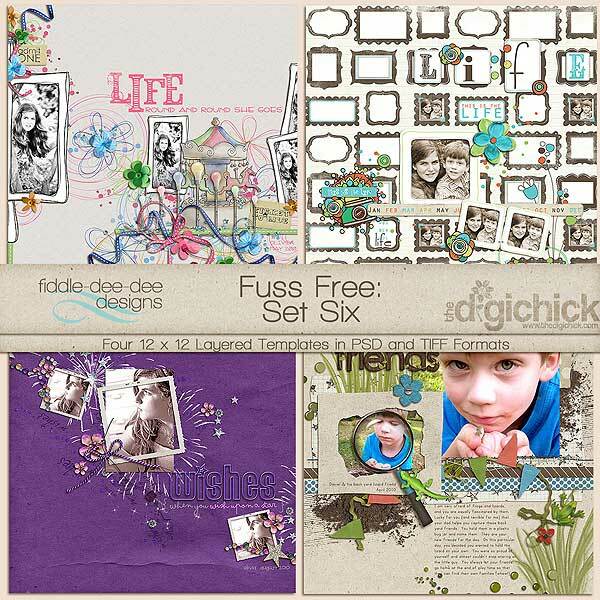 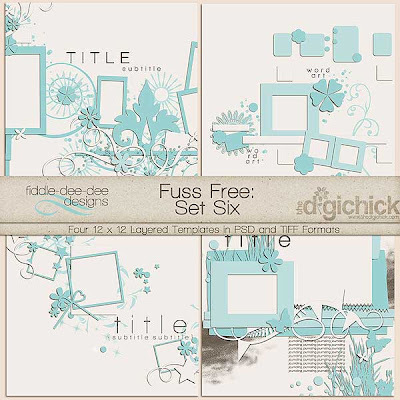 I have a new set of templates for you ~ this is Fuss Free: Set Six ~ and they are based on my own layout creations. These are on sale for 20% for a limited time in The Digichick Shop. 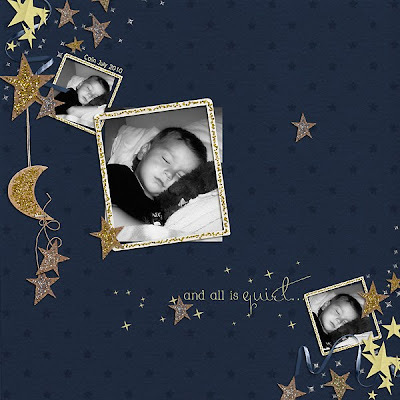 Image linked to the Shop.